Laser removal of vessels is not only a non-invasive and safe but also the only effective solution to broken blood vessels. Vessels on the surface disappear almost immediately. Broken blood vessels is a condition faced by many people. The most effective solution is closing them with QuadroStar® Laser. 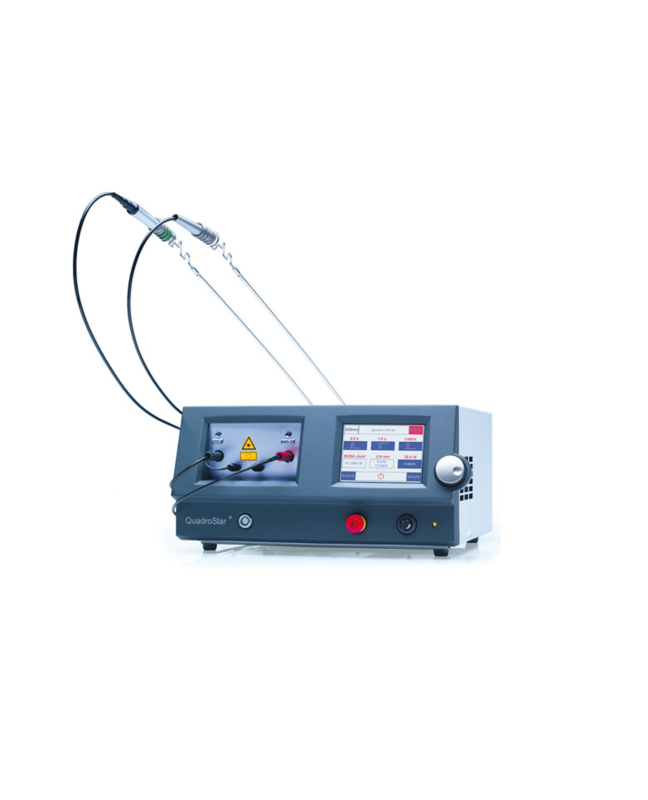 The laser light of a specified wavelength passes through skin not impairing it and in a selective way, in confrontation with blood stain – hemoglobin, changes into warmth causing constrictedness and permanent vessel closure. No other structures and tissues are damaged, so there are no scars. Some venous changes on legs require a few expositions over a period of a few months. It depends largely on vessels’ diameter, their density and the depth of placement. In case of small, singular changes, one treatment is enough. If you have strongly reddened cheeks with a net of red “spider veins” the treatment should be repeated 3-4 times.